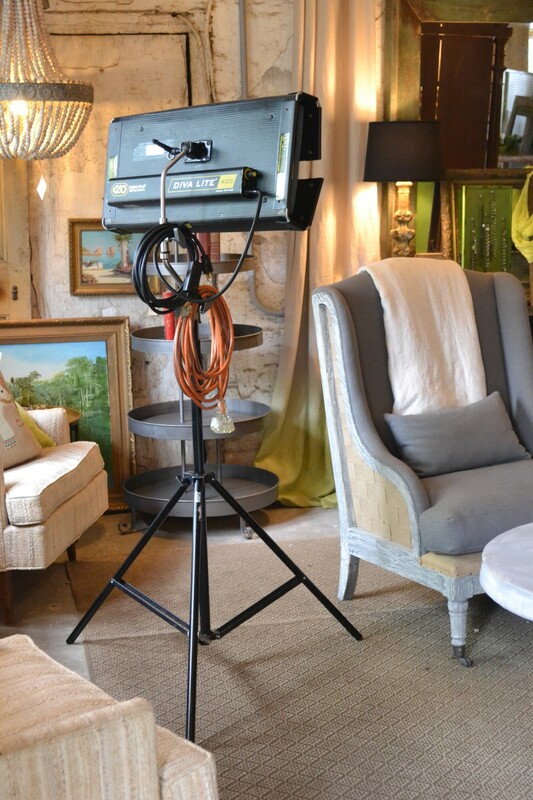 HomepageBlogHGTV Comes to Chartreuse & co! Check it out! 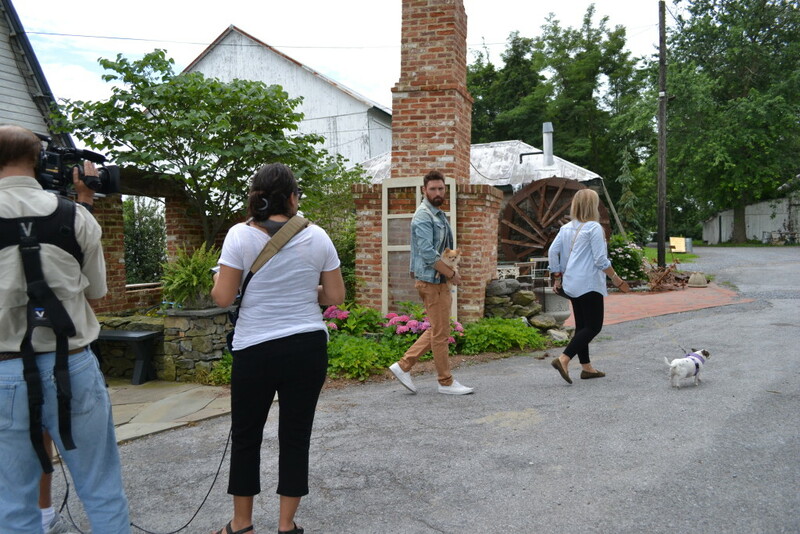 HGTV – my favorite network – came out to visit! Last week, while going through a pile of emails, I found one from HGTV. Of course the first thought I had was, “What kind of fake email is this?” And yet I read it. And I believed it. And I was thrilled! 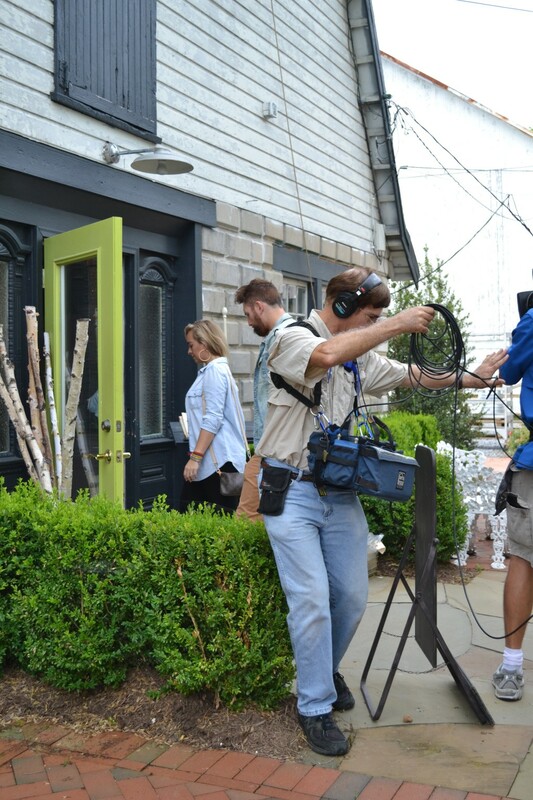 HGTV wanted to shoot a brief segment for a portion of a show at our location. Turns out the couple featured in the show were customers of ours, and they spoke so fondly of their finds from here, the network called to ask if we’d open for them. The morning began with the arrival of the crew and the equipment coming in. The couple arrived, with their adorable little pooches, and the filming began. I was so happy that our hydrangeas, which have been trying to fill out for 3 years, blossomed perfectly for the filming. The ferns looked pretty sharp, too, didn’t they? I was intrigued watching the well-timed dance the crew did to get exactly the shots they wanted. What a great looking couple, huh?! And they couldn’t have been any nicer. Loved their taste, too! Who wouldn’t love this 1940s BMW-seat-turned-chair? And then this hip couple grabbed the octopus pillow, plopped it down there, and, voila!, it was perfect. They’re going to be letting us know when the show will air – so stay tuned for the details! 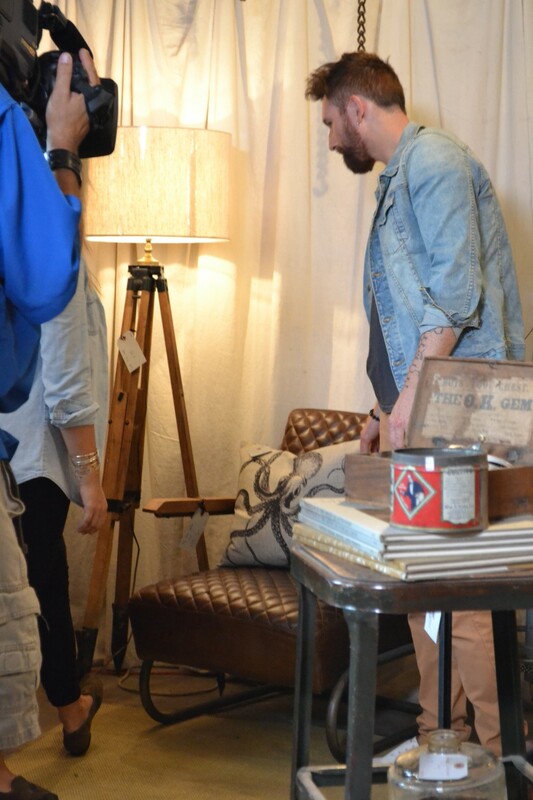 Which HGTV show were they filming a segment for? Very exciting! It is exciting. The show is House Hunters. I’m addicted to HGTV and am thrilled to be on any show of theirs! How very exciting! 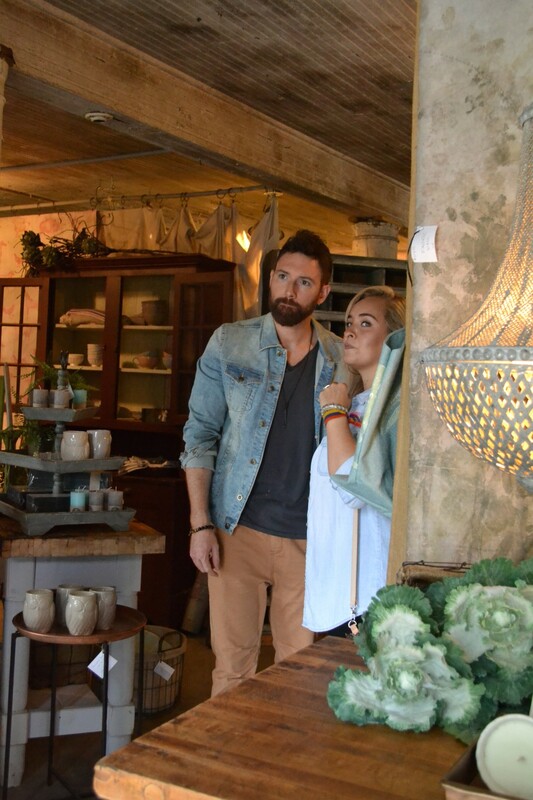 Have only been there once, but absolutely LOVED the whole place…can hardly wait to see it featured on HGTV! Thanks, Janis! We’ll be letting you all know when it’s to be aired. Looks like it may not be till late winter/early spring. OMG! This is wonderful. I just got to visit your place last year and loved it. So happy for you all. Thanks, Deb. So glad you got to visit us! Congratulations! This is so wonderful, can’t wait to see the slot. Thanks, Corey! We’re super excited! Congratulations….you ceretainly deserve to be on one of their shows….I hope to watch it……. Thanks! It should be airing between January and March. Since I live outside of Seattle and couldn’t really be much farther away from you, I can’t wait to see the episode on HGTV. I would love to come to the east coast some day but until then I live it through TV! I’ll be announcing it here when the show is going to air. I’m told it will be late winter/early spring.